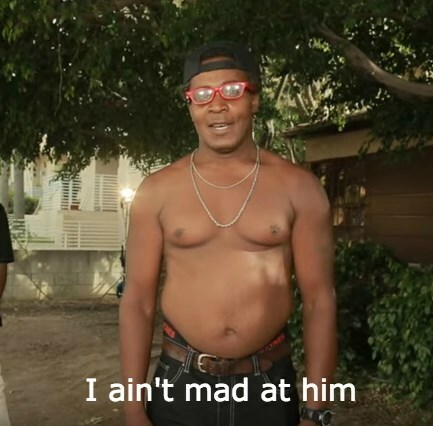 How Will People React to a Gay Rapper? - The Daily What - Daily Dose of WHAT? How Will People React to a Gay Rapper? Language Warning: Some angry participants let a few choice words fly when they find out about the twist. The fictional Boss Quoss, an openly gay rapper, hired a bunch of extras to lend him a hand in making his latest video. They took off their shirts, danced close to each other and even participated in a choreographed dance that was obviously just the "jerk-off" motion but none of them suspected a thing. When the big reveal happened some people walked away from the set, others stood behind Boss Quoss. A number of extras were very nice and offered words of support before continuing with the shoot.